Hello and happy December! My favorite month for so many reasons and one very good one is the gift of giving. There's just something so wonderfully pleasing about searching for and finding that perfect gift for someone special. 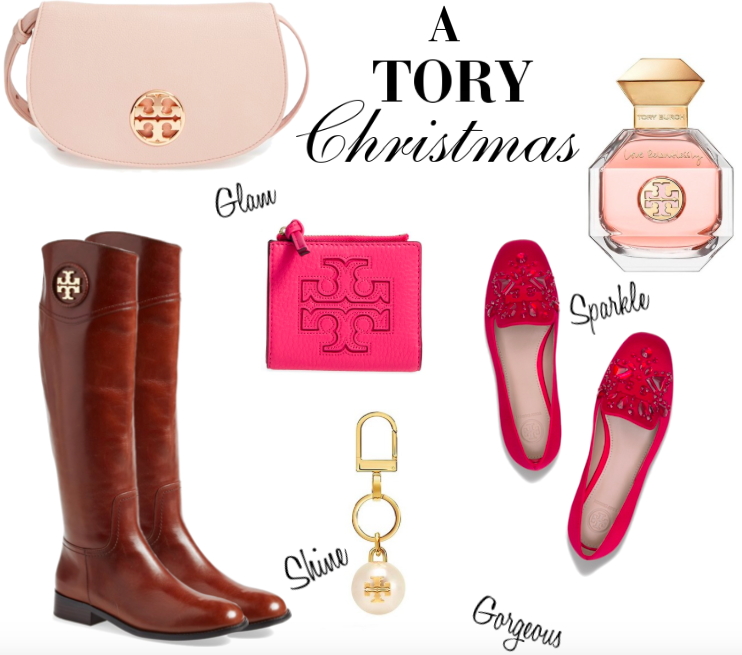 Today I'm sharing some favorite gifts for girls. From moms and sisters to aunts and besties, Tory Burch has the just right choice for everyone. This pink clutch is so feminine and these fancy little flats have party mood written all over them. This cosmetics case would be perfect for holding all those make-up must-haves and this pretty little perfume is as deliciously scented as it is gorgeous. These are the gifts every girl is sure to love. It's hard to pick just a few! Wishing you all a wonderful weekend and happy gifting!